SEATTLE (CNS) — The Archdiocese of Seattle has published a list of clergy and religious accused of sexual abuse of a minor who have served or resided in Western Washington. The individuals named on the list posted to the archdiocesan website — www.seattlearchdiocese.org — have allegations that are either admitted, established or determined to be credible, according to a news release. “I express my deepest apologies for the actions of those who were in positions of trust and who violated that sacred trust by abusing the vulnerable in their care,” Seattle Archbishop J. Peter Sartain wrote in a letter posted with the list of names. In announcing publication of the list Jan. 15, the archbishop said publishing the list builds on the Archdiocese of Seattle’s long-standing efforts at transparency, accountability and urging victims to come forward. The news release said the list had been in development for about two years and was put together with the involvement of independent consultants and the Archdiocesan Review Board, which is a group of professionals who advise the archbishop on sexual abuse of minors. The list includes 77 names of clergy and religious who have served or lived in Western Washington between 1923 and 2008. Among those listed are 30 archdiocesan and 16 religious priests, 14 religious brothers, one religious sister, two deacons and 14 priests from other dioceses. 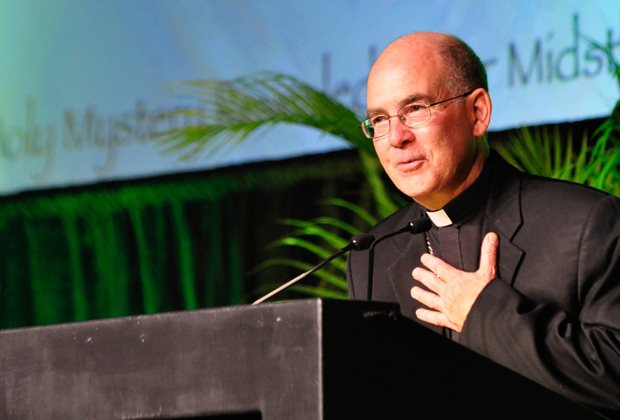 In his letter, Archbishop Sartain acknowledged “the devastating impact” of abuse by clergy and religious in the archdiocese and thanked victims for their courage in coming forward. The Archdiocese of Seattle began efforts to prevent sexual abuse and respond to victims beginning in the 1980s. The news release asked anyone with knowledge of sexual abuse or misconduct by a member of the clergy, an employee or volunteer of the Archdiocese of Seattle to call the archdiocesan hotline: (800) 446-7762. I applaud the Diocese for the work done to bring this problem to a conclusion. Question I have however is I did not see any Legal prosecutions listed ? How many found guilty will serve jail time, similar to the Philadelphia Father Lynn situation. Also would like to know why Cardinal Law is still living his normal lifestyle in Rome.